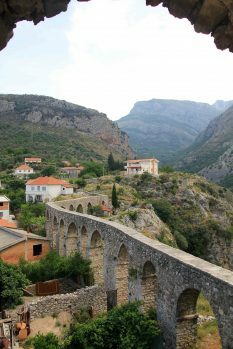 Montenegro is a fantastic country to travel and in the last few years it became more and more interesting for travelers. 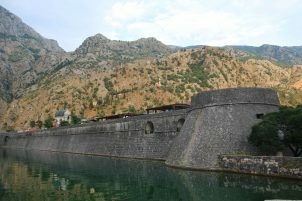 With an outstanding coast, picturesque old towns, stunning canyons, huge lakes and beautiful mountains, Montenegro has a lot of great stuff for travelers to explore. 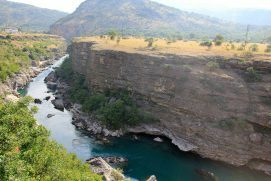 The prices are still moderate and the country is very safe. 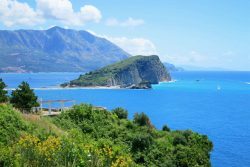 It’s the best to explore Montenegro by a road trip: Especially driving in Montenegro is safe, the streets are good and you are independent when you are traveling around by car. 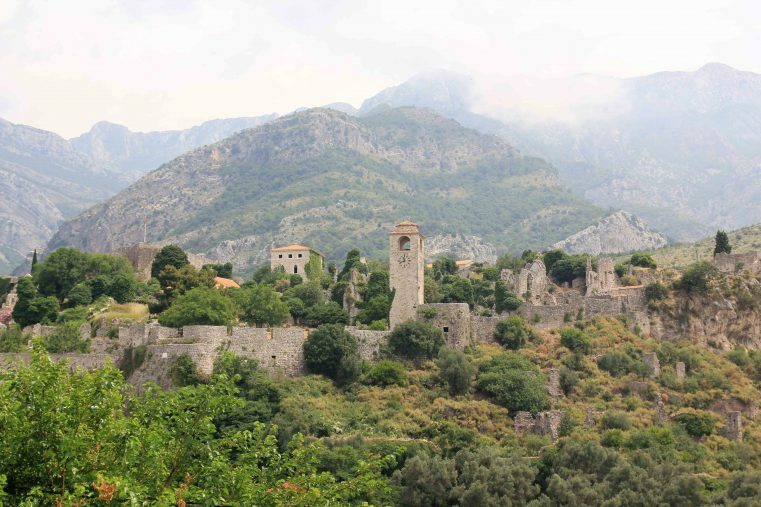 At the end of this Montenegro itinerary, you will find some helpful Montenegro insider tips! 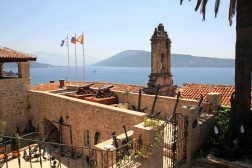 Herceg Novi was our first stop of our Montenegro road trip. 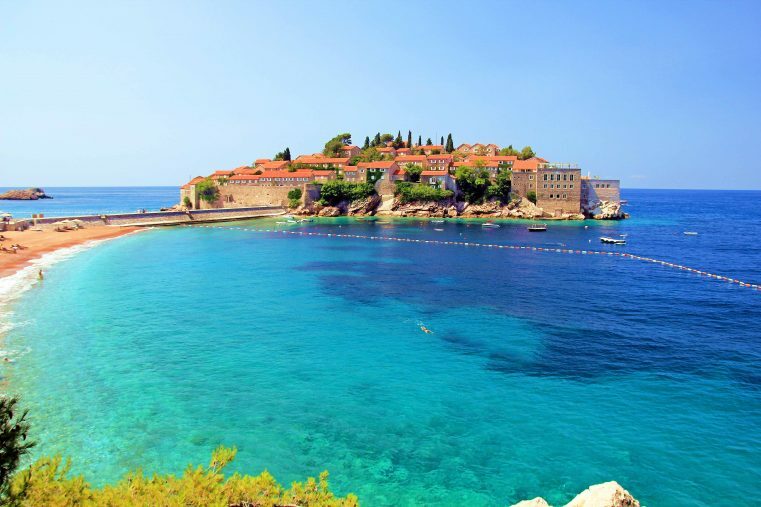 It’s a lovely and picturesque little coastal town located near Dubrovnik. 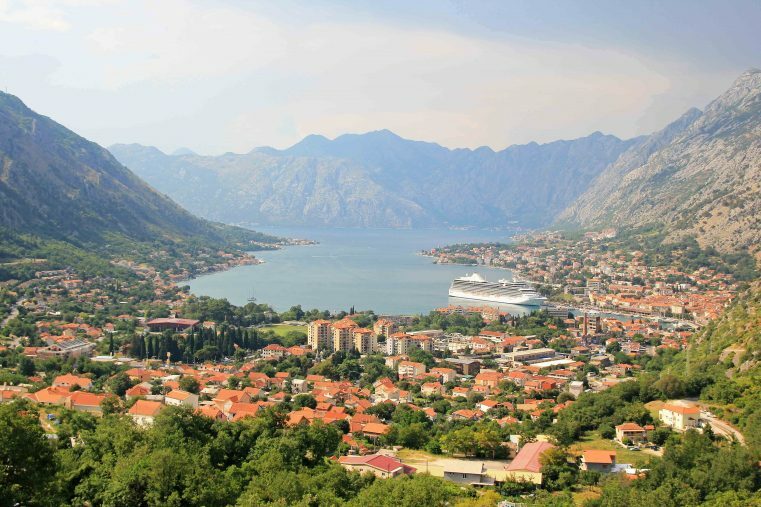 After a long drive through Croatia, we spent a few hours there to relax and get some first impressions of Montenegro. 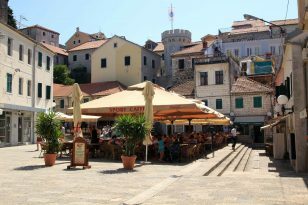 We had a delicious coffee at the old main square and after we took some time to explore the old town with its stunning old city walls. 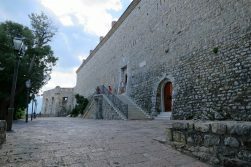 For the night we went further to Perast. 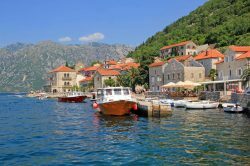 Perast is a cute old coastal town – with a lot of charm, some nice seaside restaurants and the wonderful view to the two famous islets, the Gospa od Škrpjela – Our Lady of the Rock and the island St. Georges. 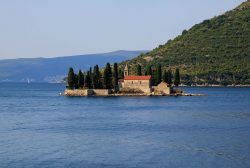 The picturesque island Gospa od Škrpjela is accessible by taxi boat from Perast, and definately worth a visit! 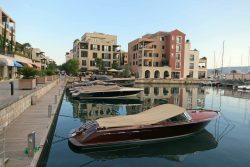 If you are looking for an amazing place to stay, you should definately check out the Monte Bay Retreat Hotel. 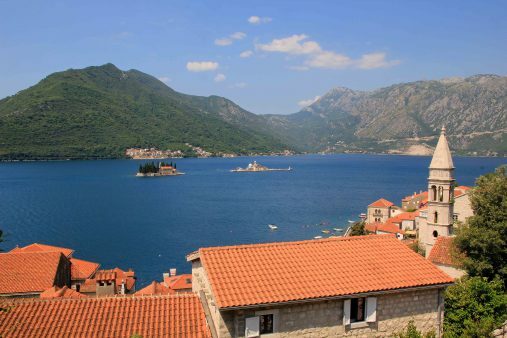 It is situated in the hills above Perast and offers absolutely incredible views of Perast! 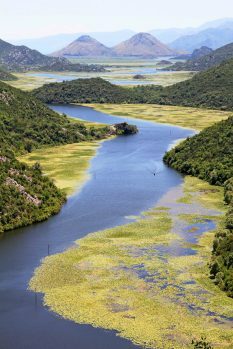 Our next stopp was the beautiful peninsula Lustica. 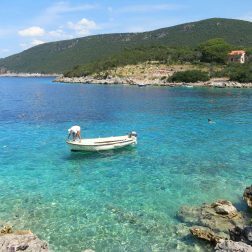 Lustica has some nice sandy beaches and it is furthermore a fantastic starting point for excursions. 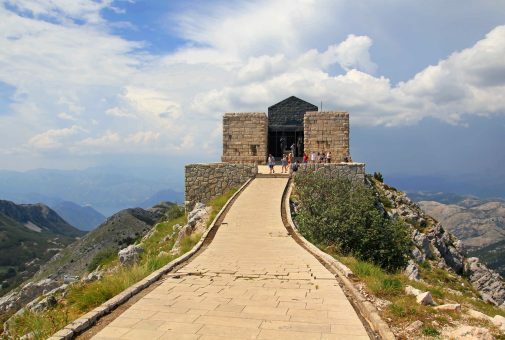 From there we went to Kotor, Tivat, Cetinje and the Lovcen National Park. 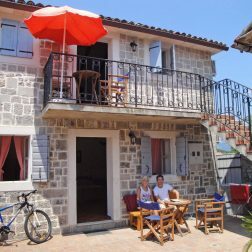 At Lustica you will find some great apartments for rent – we decided on a typical stone house for the next days. 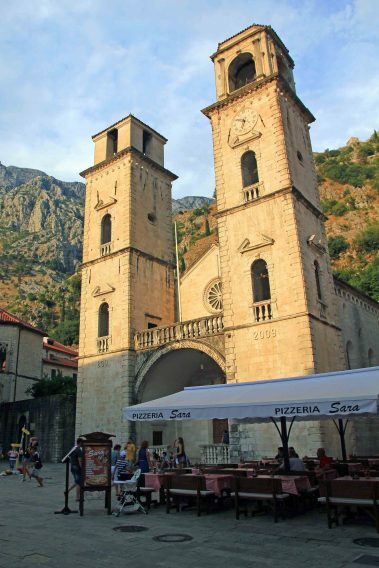 Kotor is a must see in Montenegro – There are a lot of hidden gems to discover. 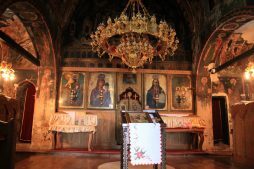 You can wander around for hours and soak in the amazing atmosphere. 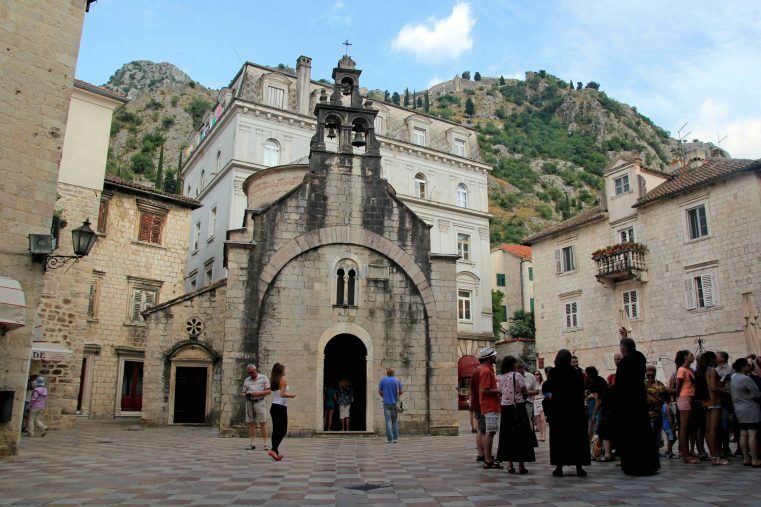 Kotor is an UNESCO World Heritage site – and a very popular place in Montenegro – there a lots of tourists around in summertime. Best you explore the city in the early morning or in the evening, when the cruise ship tourists are back to their boats! 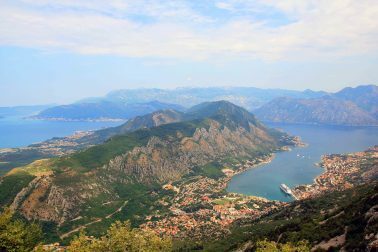 The best viewpoint on Kotor Bay we found while driving by car on the road to Cetinje (road P1) – the scenery was just breath-taking. 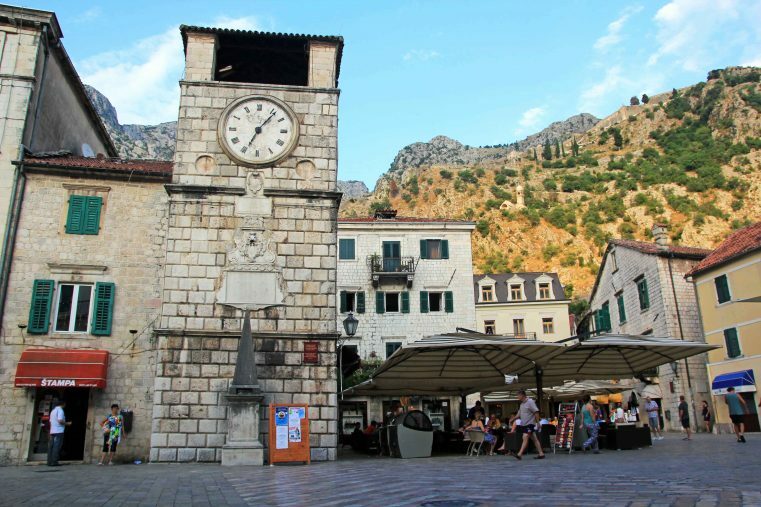 Actually, staying in Kotor for one or two nights is a great idea to get to know this lovely town. 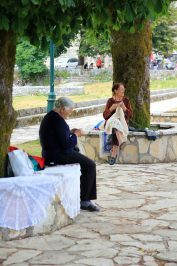 Cetinje is the old royal capital – it’s perfect to escape the tourist crowds and to get a more authentic Montenegro impression. 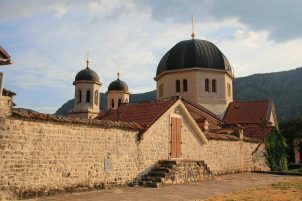 The monastry is definately lovely! 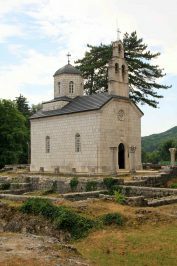 We also highly recommend the Lovcen National Park with the stunning Njegos Mausoleum – which gives a fantastic photo spot! 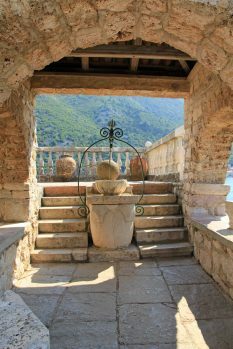 Near Kotor there is another top place you shouldn’t miss – Tivat with its Porto Montenegro. 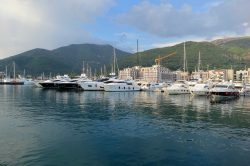 It’s a new and modern marina for luxury yachts – and now one of the hottest tourist spots in Montenegro. Cool place for a quick stop over! 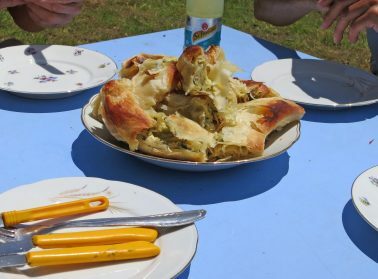 After some exciting days we left Lustica and drove in direction Buljarica Beach, there we stayed for the next week to do some sunbathing and explore the sourrounded area. 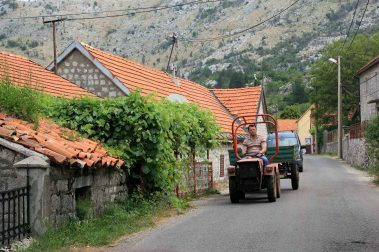 Buljarica is not far from Budva, Sveti Stefan, Bar and Skadar Lake – so a great option to stay. 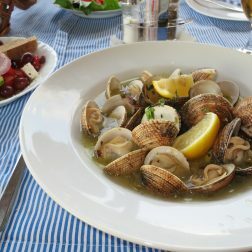 For the evening you should go to Petrovac, there you will find plenty restaurants, ice cream shops and bars. 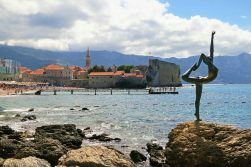 Sveti Stefan, which is also located next to the coastal road, probably gives one of the most famous photo motifes of Montenegro. 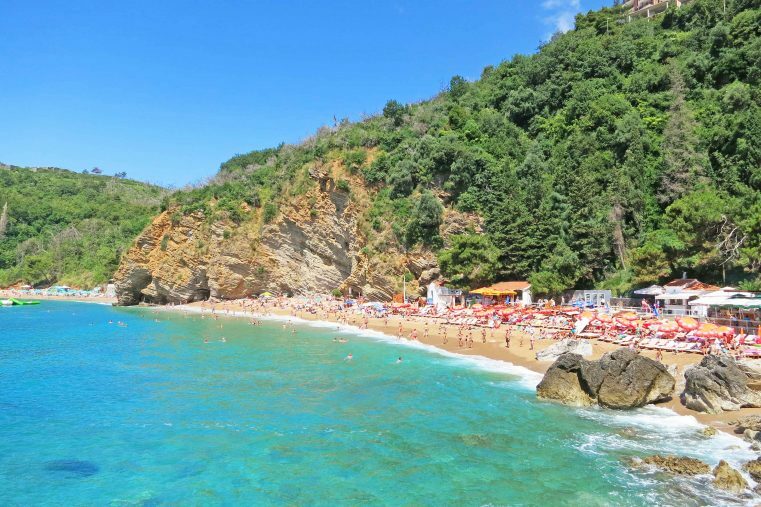 Today, the island is home of a luxury resort – but there is a posibility to visit the beach. 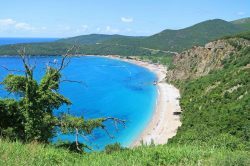 You have to know that the beach on the left side is for free – the beach on the right side is private and you pay 50 Euros per person. One of the best views of Sveti Stefan offers the Hotel Adrovic! 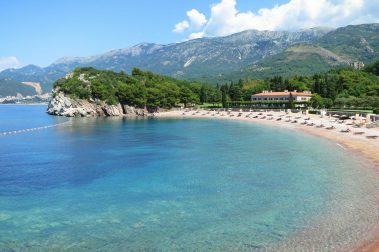 Queens Beach and Sveti Stefan beach: This awesome places definitely belongs to the most beautiful beaches on the Montenegrin coast. 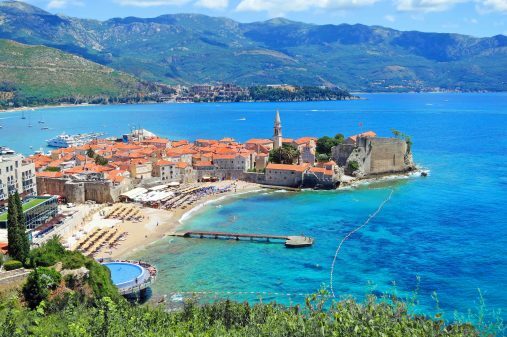 Budva is absolutely a hot spot for Russian Tourists – there are lots of luxury locations! 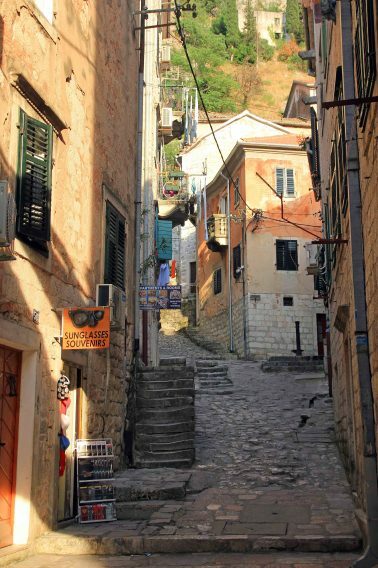 The old town is more than charming and lots of beautiful beaches are in walking distance. If you take the coastal road you will get an incredible view down to the city. 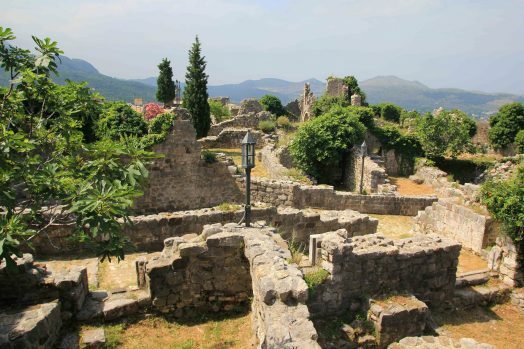 Here, is more about the best things to do in Budva! 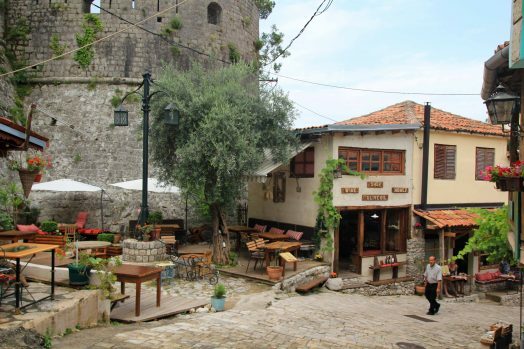 If you have some time left you should defineatly visit Stari Bar – a picturesqe ruin city. Take some time to strawl around, the location is amazing calm and beautiful. 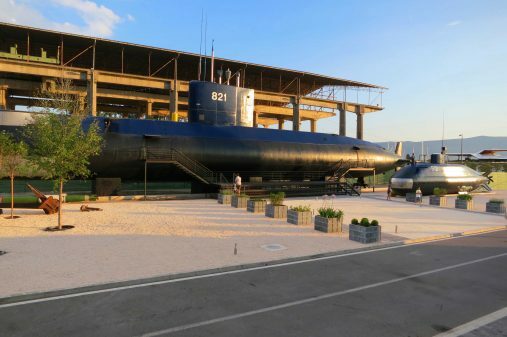 Cheap and convenient parking is available if you come by car. 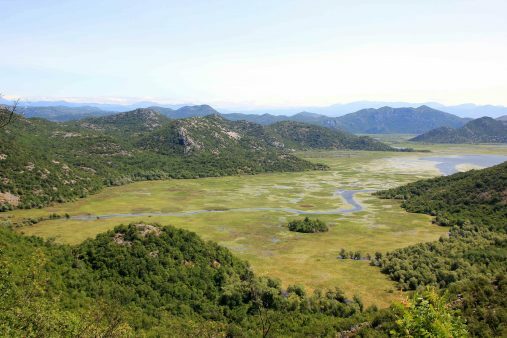 The last day in Buljarica we decided to visit Lake Skadar. 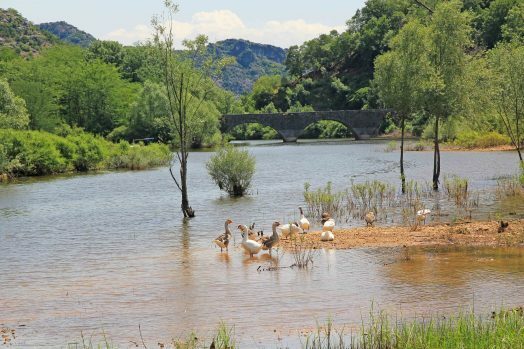 It’s the largest lake in Southern Europe and if you are lucky you even can see pelicans there. 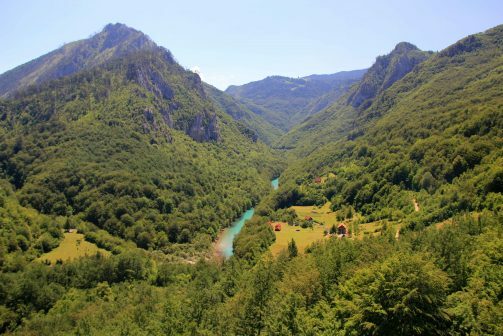 The most beautiful postcard view you will get at the Pavlova Strana viewpoint – a mindblowing place! 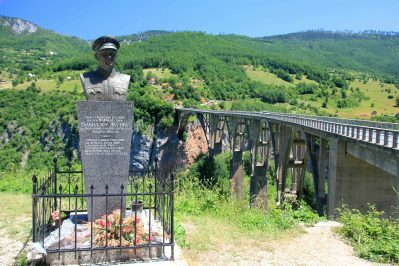 You have to go to this beautiful place by car or by boat from Virpazar to Rijeka Crnojevica – from there it is 3,5km to the viewpoint. 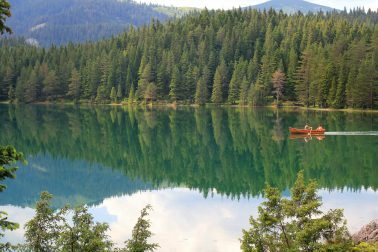 Driving by car is definitely the best possibility to explore this wonderful part of the lake. 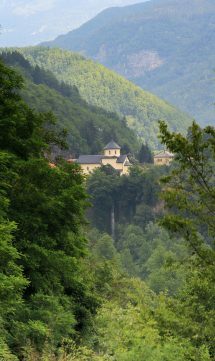 Than you will have the chance to stop at all the awesome viewpoints and nature places. 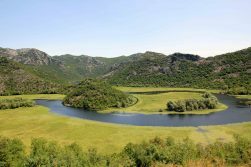 Visiting Lake Skadar and enjoying the incredible beautiful landscapes is definitely one of the top highlights when you are on a road trip through Montenegro. 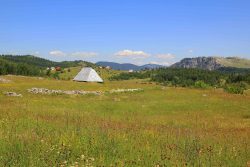 After two exciting weeks of exploring the coast, we headed off to the north, to Biogradska Gora and to the Durmitor National Park. The road is just amazingly beautiful. 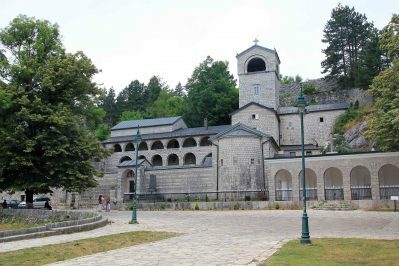 On the way, we passed the breathtaking Moraca Canyon and had a short stop visiting the Moraca Monastery. 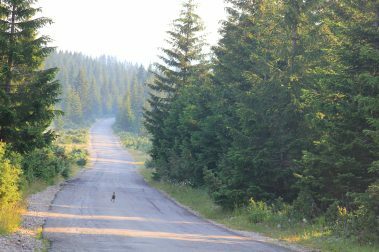 After 2,5 hours of driving by car we arrived in Kolasin, where we stayed one night in a really comfortable and lovely apartment. 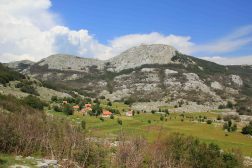 The next day we did a fantastic hiking tour inside the Biogradska Gora National Park. 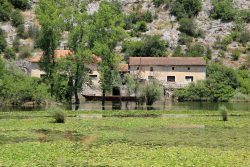 There is a wonderful hiking trail – 3 hours, starting at the Biogradska Lake (Biogradsko Jezero). 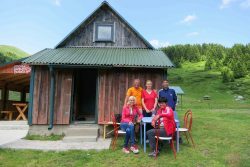 On the top you will have a fantastic view to the black lake and the strudl at the mountain hut was just amazing. 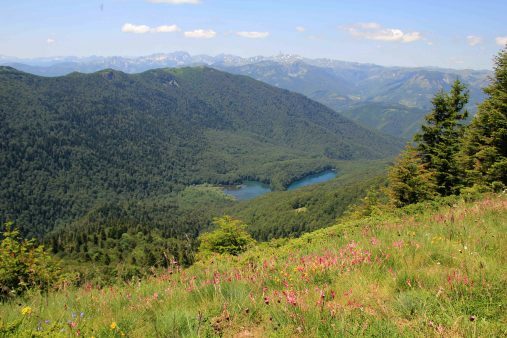 The Biogradska Gora National Park is one of the oldest virgin forests in Europe – and home to a huge diversity of fauna and flora. 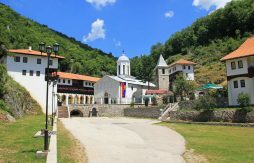 The best place to stay for the night is Kolasin. 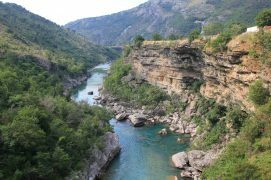 The next day we went to Zabljak and next to the road you are going to find one of the world deepest canyons – the Tara Canyon – sure you can’t miss it. 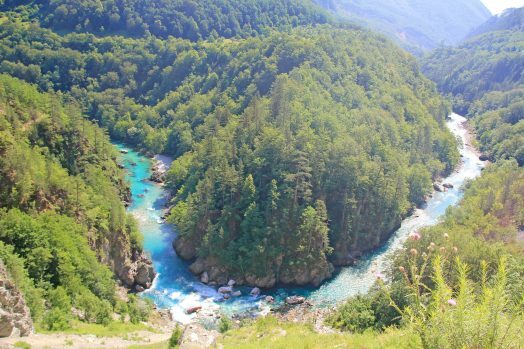 Rafting tours along the Tara River is one of the country’s most popular tourist activities. 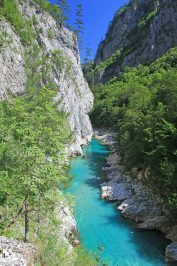 There are lots of nice places along the picturesque turquoise Tara River to take some break and to do great pics. 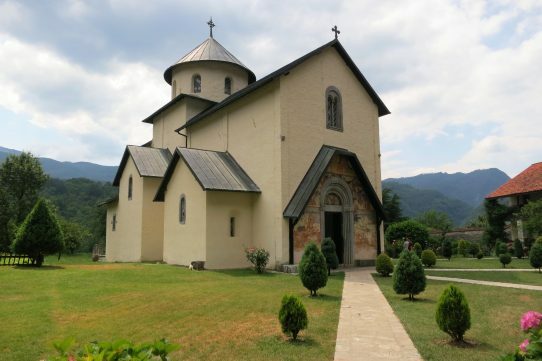 Also beautiful is The Monastery of the Holy Trinity of Pljevlja – which is about 37 km from the Tara Canyon Bridge. 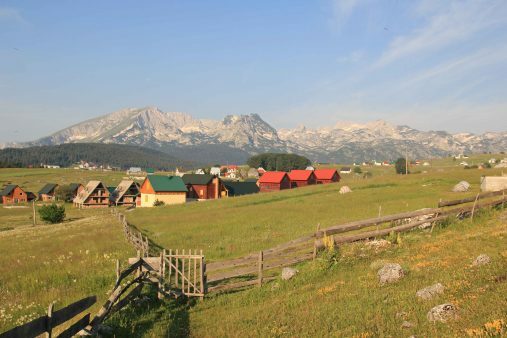 Durmitor National Park has fantastic mountains for hiking and in the winter, it’s a popular ski area! 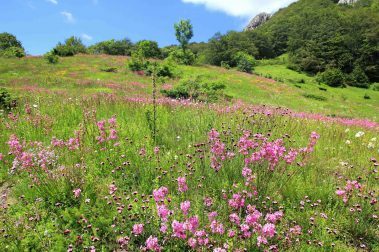 It’s a real paradise for mountain-lovers and the nature has an incredible diversity. 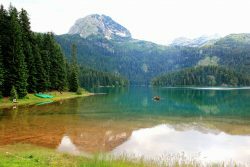 We loved the incredible Crno Jezero (Black Lake), it’s the largest and most visited part of the Durmitor National Park. 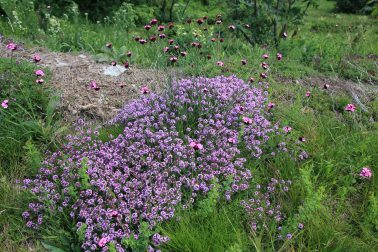 We wished we had more time to explore this area. 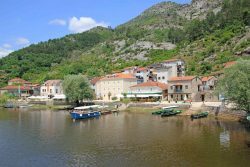 If you would love staying longer in this area just check out the Hotel Soa, which is located very central. 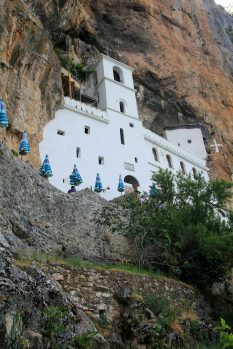 Visiting the monastery was our last stop on our Montenegro road trip . 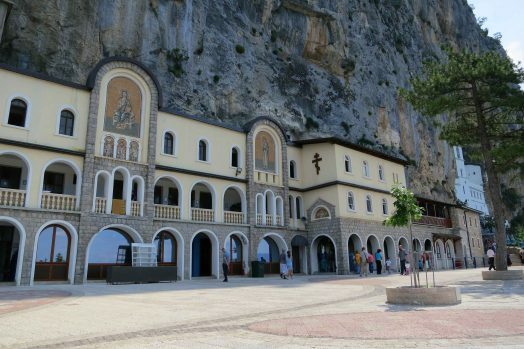 The Ostrog Monastery is the most popular pilgrim site of Montenegro. 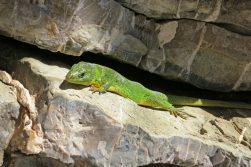 It’s built into rocky mountain cliffs, which gives an unforgettable impression. 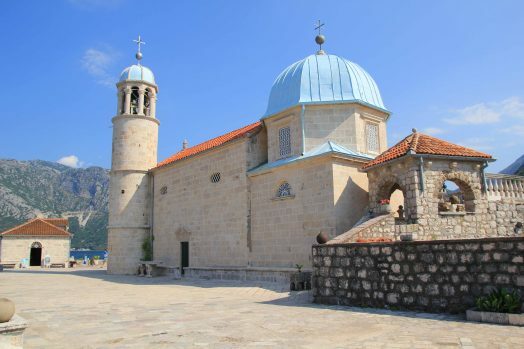 This place is really worth a visit and for sure one of the best things to see in Montenegro! 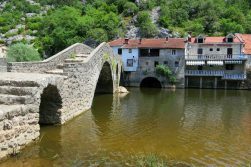 If you are planning a holiday in Montenegro and you would like to do lots of sightseeing we recommend to explore the country by car. 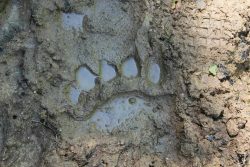 However, if you go by your own car or if you hire one in any case you will be much more flexible. 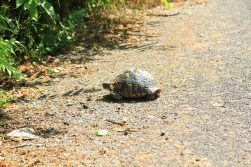 The streets are well maintained and the traffic isn`t that busy. 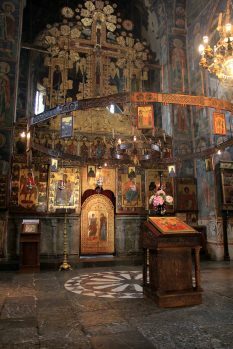 At least one week or better more should be planned for visiting all the wonderful places and sights. Our tip: Rent your car in advanced and compare the prices! 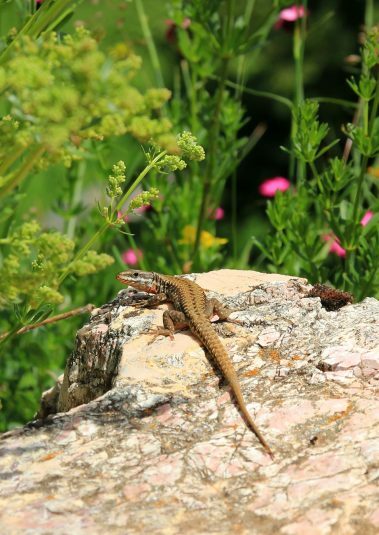 To be on the safe side, Don`t forget to book a car insurance! 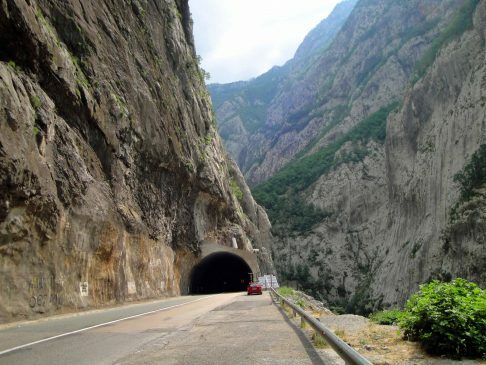 Driving in Montenegro: If you are planning a journey, you should hire a car, you will be much more flexible. 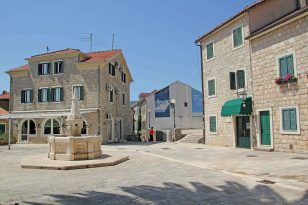 The streets are well maintained and the traffic isn`t that bussy. 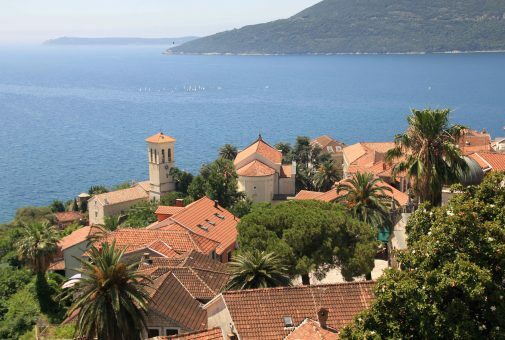 Where to stay: Montenegro has a wide range of apartments for rent – so that’s a fantastic budget option. 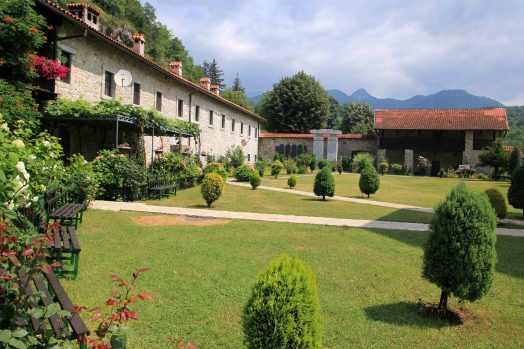 Also you will find lots of luxury hotels! 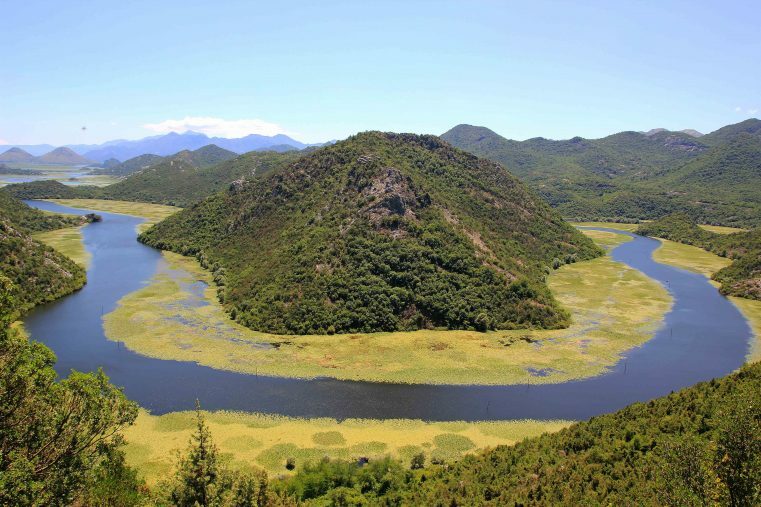 Skadar Lake: If you are looking for the famous instagram motif of Skadar Lake – don`t do the boat trip at Hotel Pelikan (Virpazar) – you have to go there by car. 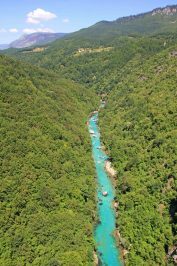 Arriving in Virpazar you have to turn left, take the road to Rijeka Crnojevića – boat trips are also offered there and it’s much more beautiful. 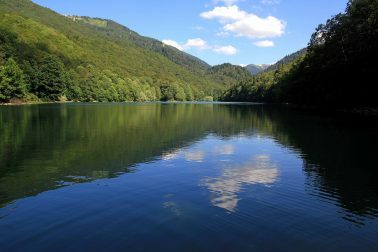 (24 km – 50 min). 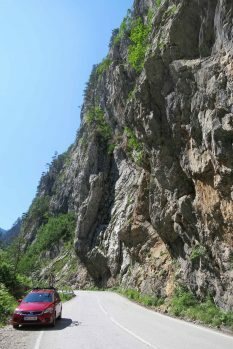 The road is really impressive and there are lots of fantastic viewpoints. What to wear: Note that in the North it’s much colder than in the South, even in June we found some snow on the mountains. So don`t forget to take some warm clothes with you. 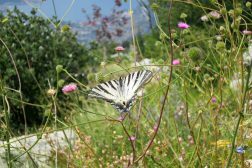 Beware of: There are lots of unwanted cats and dogs in Montenegro!